Welcome back to Sound Test, where we delve into exceptional video game soundtracks and how they enhance the experiences of the games they appear in! 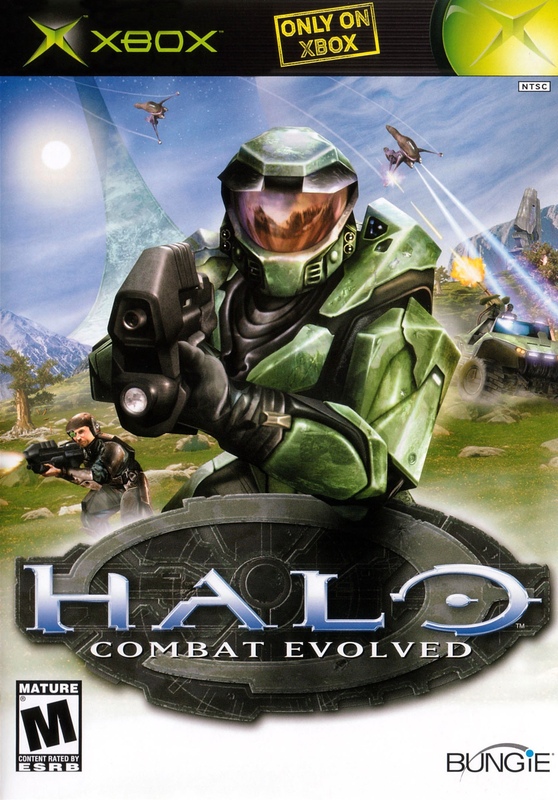 This November saw the seventeenth anniversary of one of the biggest games in recent memory, Halo: Combat Evolved, developed by Bungie for the Xbox. So you know I had to talk about it. I will be upfront in admitting that I have a lot of nostalgic attachment to this game, as I’ve played it for the past 17 years, starting when I was just eleven years old. But no matter your relationship to the game, it’s pretty much impossible not to acknowledge its legendary score. With that said, I invite you to hit play on the video right below to set the tone with some mood music and read on! Countless people have memories attached to Halo: CE (or just ‘Halo‘ for short). I know I have my own of trying the game out at a friend’s house, holding the giant Xbox launch controller (commonly called ‘The Duke’, although my circle of friends called it ‘The Whale’), engaging armies of Covenant aliens, and facing off in multiplayer matches. When I eventually got my own Xbox, of course I got Halo with it, since it was the first game that really got me into first-person shooters. It was action-packed, enthralling, had memorable characters, and a plot that was simple and serviceable, unconvoluted by the years of lore and expansion to other media that followed. I still find it to be a really fun game to play today, and go back to it occasionally via its many remasters and ports. Even if the game itself were to fade from relevancy, or the mechanics were to become stale, there’s one thing that would still stand the test of time: its soundtrack. Composed and produced chiefly by Michael Salvatori and Martin O’Donnell, it’s a soundtrack that is everything it needs to be, when it needs to be, with an impressive range of instruments and disciplines. Of course you can cover Halo in the action shooter blanket and be accurate to a point, but you can’t forget about its more nuanced moments, like the first time you silently stalk your enemy at night in a mission to board an alien battlecruiser. Or the more ambient, demanding moments, like being dropped into a fog-entrenched swamp to investigate the final transmission of your commanding officer’s ship. The soundtrack has something for every moment, expertly crafted and performed to pair with the gameplay in a way I honestly haven’t seen done as well in a FPS game since. Let’s start with the first level, which involves getting acquainted with inhabiting the body of a super soldier solely referred to as Master Chief (remember, this is before we learned his name is John or his Spartan designation of 117). You’ve been awakened from a cryogenic sleep because the ship you’re on, the UNSC Pillar of Autumn, is under siege by the Covenant, an alien force composed of several species that operates as a theocratic hegemony. You’re instructed by your commanding officer, Captain Keyes, to take a highly valuable AI named Cortana and escape the ship. Easier said than done, given that Covenant forces have already boarded and aim to take you and everyone else down. It makes for quite the wake-up call for Master Chief, and presents a great introduction to the action for the player. The music is appropriately suspenseful. The first track you hear is “Brothers in Arms”, which uses a marching drum line and reserved strings, woodwinds, and brass that build to an epic, journey-starting climax. Later on, we get “Perilous Journey”; it has a similarly slow start, but since this is the track we hear throughout most of the player-controlled action, it has the weight of suspense you would want at a time like this. The drums take on a new life with an almost tribal quality to them. They’re hearty and synthetic, fitting for being in the armor of a super soldier like Master Chief, and a good contrast to the robust horns that create the primary melodies for the track. It drives the action forward stupendously. Moving along, you board an escape pod that eventually lands on Halo, a gargantuan ring-shaped installation suspended in space that has terrain, ecosystems, and biomes much like Earth. This world is completely new to Master Chief and the UNSC Marines that found themselves lucky¹ enough to escape and survive the siege of the Pillar of Autumn. So, appropriately, the music has qualities of unease, mystery, and tension. Made up largely of moments from the “Suite Autumn” song found on the official soundtrack, you hear lots of sustained legato strings that paint the picture of this new world. There’s familiarity in the music as well, which lends itself to the scenery you see on Halo, admittedly a lot like our own temperate foothills and forests. As you weave through the craggy formations in a beefy Warthog ground vehicle, trying to locate other crashed escape pods and rally Marine forces, you find more Covenant conflict. Battles bring on more epic-sounding music, found on the “Truth and Reconciliation Suite”. Huge bass drums accent a powerful track with string arpeggios, giving a feeling of triumph and success as the beat pounds alongside your pulse. This is the music befitting of the small victory you’ve been afforded in a story that’s just begun. I won’t bore you by going step by step through the rest of the game, especially as many tracks repeat throughout. Suffice it to say there’s a lot more great music to cover. For as much as I enjoy the energy of the aforementioned songs, Halo‘s music really has something nice to say with its quieter, more nuanced moments as well. “A Walk in the Woods” is beautifully understated. Carried by a tasty bassline and light, ethereal vocal harmonies, it plays during explorative moments, traversing the ancient constructs buried within the natural formations of the ring world in search of answers. The prominent bass also shows itself in tracks like “Under Cover of Night”, where it takes on a stuttering staccato structure to create a neat groove for some other comparatively slower moments in the game. The orchestra that pervades the Halo soundtrack is also quite capable of taking a more reserved approach in the name of ambiance. Look no further than “On a Pale Horse” with its notes. It works with the same template as many of the other tracks, incorporating similar melodies and motifs found elsewhere, but from a more dramatic angle. Side note: this song would make for some good figure skating routine music. “Ambient Wonder” is just that: an ambient wonder, providing the soundtrack for the Chief navigating the labyrinthine halls of the Covenant ship Truth and Reconciliation. It’s appropriately alien and futuristic, utilizing synths to hum out a spacey version of the main Halo theme’s melody. “Alien Corridors” uses this approach as well, but sticks to its own tune. It was a smart move to make the tracks for missions focusing on alien terrain have a more electronic presence. Speaking of the Halo theme, you didn’t think I would close out this Sound Test without touching on that, did you? How could I? It’s one of the most epic theme songs ever put to tape, not to mention unique. Salvatori and O’Donnell went all out to give the best first impression with this music, seeing that this is the song that plays on the main menu of the game. From the instantly recognizable chanting that opens up the piece to the elegant and fierce strings throughout, it captures the ancient, dramatic tone of the game. It foreshadows the secrets of the Halo world, and frames it in a strange way so as to precede its enigmatic energy. Most importantly, at least from a game developer and player standpoint, it makes you want to actually play the game. It’s just so massive. The chants, the drums, the melodies – literally everything. The vocals were inspired by Qawwali chants, and add an exoticism to the music that doesn’t feel cheap, fetishistic, or misused. Flanked by substantially spirited cellos and adrenaline-pumping drums, they’re a key element of the theme that you can’t get out of your head. The melodies formed by the strings have an almost Irish or Celtic tone to them, dancing all around the scales they perform in. It’s an absolutely phenomenal piece, fit for the biggest budget blockbuster film you could dream up. Altogether, parts of it wouldn’t be too out of place on The Witcher 3: Wild Hunt soundtrack. Over the years, O’Donnell has divulged some of the finer, funnier details that went into making the Halo theme a household name. Apparently, Microsoft and the various developers that have worked on Halo titles, like Bungie and 343 Industries, felt the same, as the motifs of the theme have been a musical staple for the whole series ever since. For certain, I house a lot of nostalgia for Halo and its music; a lot of people do. For me, it’s synonymous with hooking up a couple Xbox consoles with friends so you can play over a local-area network with more than four people, sniping each other with the ridiculously overpowered hand cannon of a pistol. Or challenging yourself to a playthrough of the campaign on Legendary difficulty. It’s even inspired some outrageous viral videos from fans. No matter how you look at it, Halo‘s music is elephantine in scale. It lays the groundwork for what at the time was a brand new adventure in an alien world, navigating a growing war with a fierce adversary with the literal universe at stake. These tropes may be outdated nowadays, and the fatigue of the gruff-voiced space marine action game weighs heavy for the average gamer, but Halo was something special in its day, largely due to its music. Martin O’Donnell and Michael Salvatori made something that will outlast anything else from 2001, and I can’t thank them enough for it. I implore you to listen to the whole soundtrack yourself. I covered a lot of it here, but it’s something else entirely to hear it on your own. It’s on most streaming services like Spotify, which is nice. If you’re feeling especially adventurous and want to hear these tracks in context, there’s a number of ways to play Halo, like the original Xbox release, its port to Windows PC and Mac, or the Xbox 360 remaster released in observation of the game’s tenth anniversary appropriately titled Halo: Combat Evolved Anniversary. If you want the most high-definition experience possible, you can get the game on current gen hardware with The Master Chief Collection on Xbox One which has the first four Halo games packaged in one pretty solid bundle. Though, in the interest of full disclosure, please note that the Anniversary release and the version of Halo: CE found in The Master Chief Collection have slightly reworked, or at least re-recorded, music, albeit at a higher fidelity. ¹I mean, really though, given the subsequent violent conflict between the humans and alien forces, not to mention the complete destruction of Halo at the end of the game, are they really lucky? Previous PostWilderness Hymnal - "Anthropocene"
Next PostImmerse Yourself in the Beauty of Fetherstone's "Ticket To You (Unspoken Stories)"